Families with children in the Houston, Texas area are fortunate to live near Texas Children’s Hospital. Not only is it the largest pediatric hospital in the United States, but it also consistently ranks as one of the best in the country. Located within the Texas Medical Center at 6621 Fannin Street in Houston, the nonprofit children’s hospital is open 24 hours a day, year-round, serving children from birth through age 19. 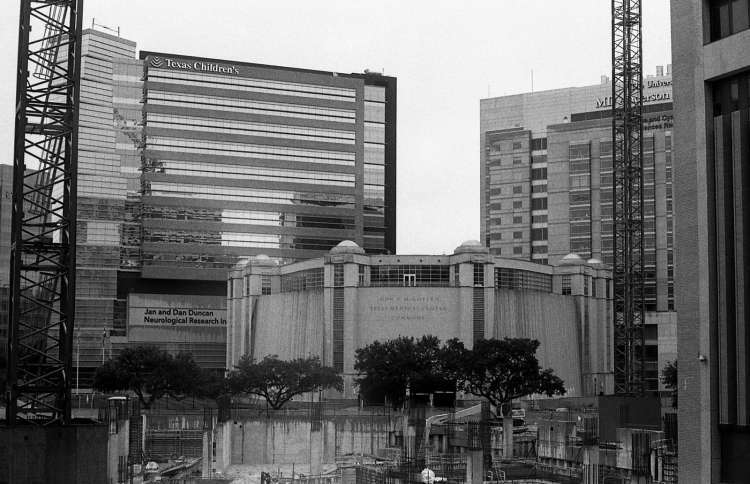 Texas Children’s Hospital has been standing since 1951, when it opened as a three-story building with just over 100 beds. Right away, the hospital began shaking things up in the pediatric world, hiring Texas’ first (and only, at that time) female pediatric surgeon, Dr. Benjy Brooks. In 1954, it established an unprecedented policy for the time, which allowed at least one parent to remain with a child during a hospital stay. The hospital was first recognized as a leader in pediatric care in 1964, when it performed a successful procedure to separate twins Karen and Kimberly Webber, who were joined at the chest. In that same decade, the hospital helped to establish the Texas Heart Institute, which is still a leader to this day in the research and treatment of adult and pediatric cardiovascular diseases. In the 1970s, the hospital entered the spotlight once again as it treated David Vetter, a young boy who had been born with Severe Combined Immune Deficiency (SCID), for which there was no cure or long-term treatment at the time. Little David soon became affectionately known as “The Bubble Boy,” as he was placed in a specially designed, germ-free bubble in which he played, ate, slept, and even attended school for 12 years, until his death. Through the following years, Texas Children’s Hospital continued to expand and break barriers in the world of pediatric medicine and care. It now boasts more than 600 beds and receives patients from all around the world. The Texas Children’s Emergency Center, the largest of its kind in the area, treats pediatric patients with both medical and surgical emergencies. In addition to the standard emergency services available, the center houses shock trauma resuscitation beds, a dedicated sexual assault exam room, and a specialized isolation room. Emergency services are offered at two locations: the first floor of the hospital’s main campus at 6621 Fanin Street and the second floor of its West Campus, located at I-10 and Barker Cypress. In addition to medical and surgical staff, the center has on-site child life specialists, family advocates, social workers, and interpreter services. Texas Children’s Hospital has been well-known for decades as a specialty hospital for pediatric cardiology and heart surgery. Doctors here also specialize in pediatric pulmonology, cancer, nephrology, neurology and neurosurgery, gastroenterology and GI surgery, diabetes and endocrinology, urology, neonatology, and orthopedics. For most of these specialities, it is consistently recognized as being among the top 10 hospitals in the U.S. The hospital’s pediatric cardiologists and surgeons are world-renowned leaders in the pediatric cardiology, congenital heart surgery, and cardiovascular anesthesiology, and all of them are also on the faculty at the affiliated Baylor College of Medicine. Each year, these doctors see more than 17,000 patients and perform upwards of 800 surgeries in the Texas Children’s Heart Center, which places a special focus on: aortic valve stenosis, atrial septal defect, coarctation of the aorta, hypoplastic left-heart syndrome, pulmonary valvar stenosis, single ventrical anomalies, tetralogy of Fallot, total anomalous pulmonary venous return, transposition of the great arteries, and vascular rings of the aorta. The Texas Children’s Heart Center was the first accredited Pediatric Heart Failure Institute, an honor it received in recognition of its successful approach to treating heart failure in children. For pediatric patients suffering from cardiac issues and heart failure, the center provides arrhythmia surveillance, cardiovascular genetic testing, congenital heart surgery, echocardiography, electrophysiology and pacemaker care, treatment of heart failure and cardiomyopathies, minimally invasive surgical procedures, pediatric cardiac catheterization, pediatric cardiovascular anesthesiology, and heart transplantation. Incredibly, since it opened in 1984, the Texas Children’s Heart Center has performed more than 280 heart transplants in children, marking it as one of the largest and most successful programs in the country. Texas Children’s Hospital is also home to the largest state-of-the-art pediatric cancer and hematology center in the United States, which treats children and adolescents (up to age 21) with cancer as well as blood disorders, including even the rarest disorders. Texas Children’s Cancer and Hematology Centers’ primary location is within the Texas Children’s Hospital, but clinic sites are also available in Katy, Texas; McAllen, Texas; and The Woodland, Texas. Together, these sites boast more than 800 staff as well as a full range of pediatric subspecialty care available 24 hours per day. The center prides itself on treating not only the physical aspects of these devastating childhood illnesses, but their emotional affects as well. In addition to treating patients, the cancer arm of Texas Children’s Hospital is at the forefront of childhood cancer research, with more than 350 researchers working across 42 laboratories. With this support, it conducts more clinical trials than any other pediatric cancer center in the country, achieving national recognition as a leader in the development of novel approaches to the treatment of pediatric cancer, including personalized therapies. In the 1960s, Texas Children’s Hospital became the first in the country to treat children suffering from respiratory failure via home mechanical ventilation, allowing them to receive care in their own home rather than spend years in the hospital. Today, the hospital continues to be a leader in pediatric pulmonary medicine, treating a wide range of respiratory disorders such as pulmonary hypertension, cystic fibrosis, and asthma, among others. Its team specializes in the diagnosis and treatment of chronic, complex, and rare pulmonary disorders in children and adolescents. The Texas Children’s Asthma Center treats many children who suffer from asthma that is difficult to control. Doctors here develop an individualized asthma management plan that includes drug therapy as well as control of environmental factors. The center also prides itself on educating its patients and their families in order to help them become asthma self-managers. For those with severe asthma, it also offers evaluation and care in its Life-Threatening Asthma Clinic Program. The hospital’s Cystic Fibrosis Care Center offers young patients and their families comprehensive clinical services for the treatment and care of cystic fibrosis and its related issues. The center also accepts volunteers to take part in clinical trials to test promising treatments, offering the chance to benefit from new treatments and help advance the scientific understanding of this condition.